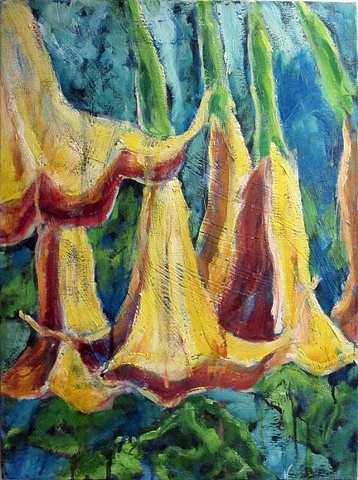 Beautiful yellow angel trumpets, native to New Orleans gardens are depicted across three panels. they are available as a tryptich or individual paintings. This painting is on deep stretcher bars and the edges are painted. There is no need for framing.